It must be served at room temperature. 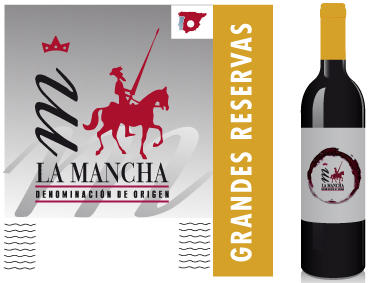 Wines aged or Cencibel variety Tempranillo, purplish-weave tone. It has excellent varietal aromas, coupled with the proper upbringing. It offers a full and structured Mouthfeel, leaving a distinctive aftertaste. wines subjected to aging of the Cabernet Sauvignon has a ruby-weave tone, with complex aromas rich in nuances, reminiscent of green peppers, although the most characteristic aroma is of berries (sloe). Its palate is elegant, yet astringent to palates with are not accustomed to it. With good vintage treatment it offers a completely balanced bouquet offering a perfect blend with other varieties. Wine very suitable for mixing with other varieties in breeding, especially Cabernet Sauvignon and Tempranillo Cencibel or. This aromatic wine with soft violet tones that mark the pinnacle of elegance in variety, and rapid breeding. very dark wine with good body and great aging potential, with complex aromas rich in nuances. It is dense and has a balanced and long life. Its mouthfeel is elegant, but somewhat astringent for consumers not used to tasting it.